As the name implies, the Multi Time Frame trading method is a type of analysis that utilizes more than one time frame to predict price movements in the market. Usually used 2-3 time frames to analyze. The analysis process by using a lot of time frames is based on Fractal prices (all events that have happened), so that it will continue to recur over time. Because it keeps repeating, these events can be recorded, reviewed, and analyzed to find out which ones are good and profitable. The rules for using Multi Time Frame trading methods are often used on BBMA OA trading systems. The trading system prioritizes signal validity which can be seen from the two time frames below. For example, if the analysis uses a 4-hour time frame, it is necessary to use a 1-hour and 15-minute time frame to ensure whether or not the signal is good. On this occasion we will discuss how to use the famous Oscillator indicator, namely Stochastic, which is applied using the Multi Time Frame trading method. 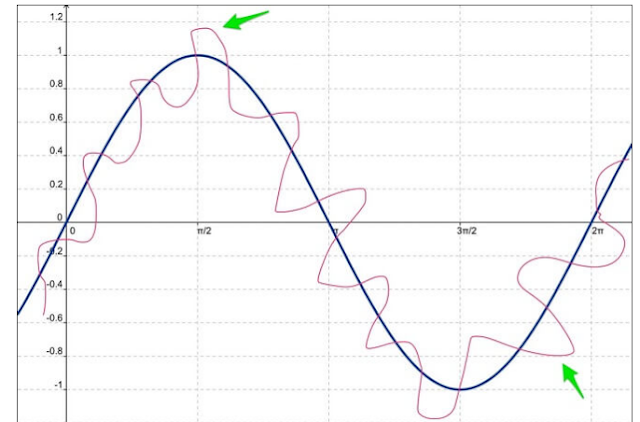 Stochastics is an indicator discovered by George C. Lane in the 1950s. 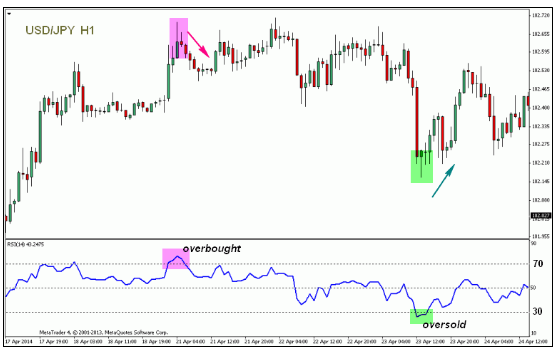 This indicator is similar to Momentum and RSI because it together displays the speed of price changes in the form of Oscillator. Based on his observations, George C. Lane considered that there was a relationship between closing prices, the highest prices, and the lowest prices, for a certain period of time. The area above level 80 is the Overbought zone. The area below level 20 is the Oversold zone. If the line% K and% D intersect upwards in the Oversold zone, it is a Buy signal. If the% K and% D lines cross down in the Overbought zone, it is a Sell signal. 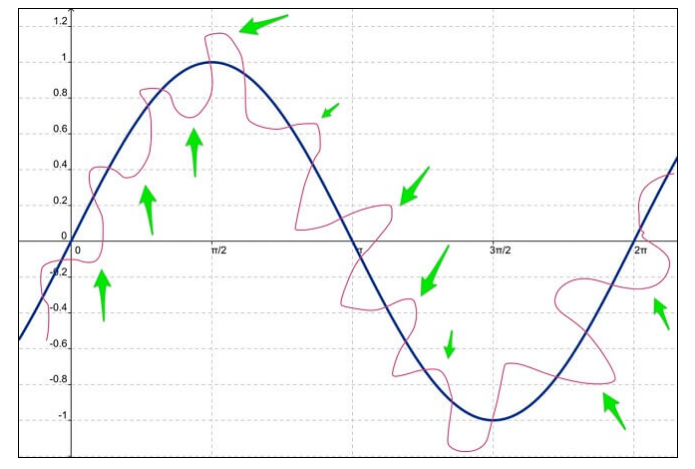 Learning how to trade multi time frames Stochastics starts by choosing which time frame to use in the analysis. If you follow other systems that use the multi time frame trading method, usually there are three time frames used. The first time frame as a determinant of the trend and signal, the second time frame as a confirmation signal, and the third time frame as a place of Entry. But in the multi time frame trading method with Stochastics, only two time frames will be used, namely the large time frame and the time frame entry. In the way of trading the Multi Time Frame with Stochastics, a large time frame will function as a place to determine the trends and directions formed in the market. Based on a large time frame, the opportunities that appear on a small time frame will become more filtered. Because it aims to see trends in the long run, then in this way of trading can be used various kinds of tools that are often used to determine trends. Some of these methods include using Trend Channel and Trendline on the Chart. 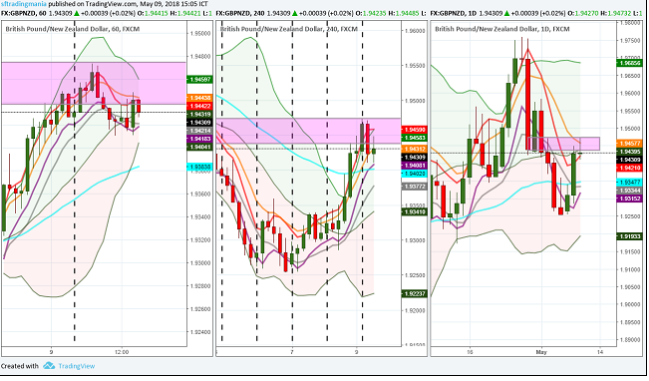 Some traders also often use Trend indicators on Metatrader 4 such as Bollinger Bands and Moving Average, to determine the trend. If the% K and% D lines cross up, then look for Buy opportunities only. If the% K and% D lines cross down, look for Sell opportunities only. 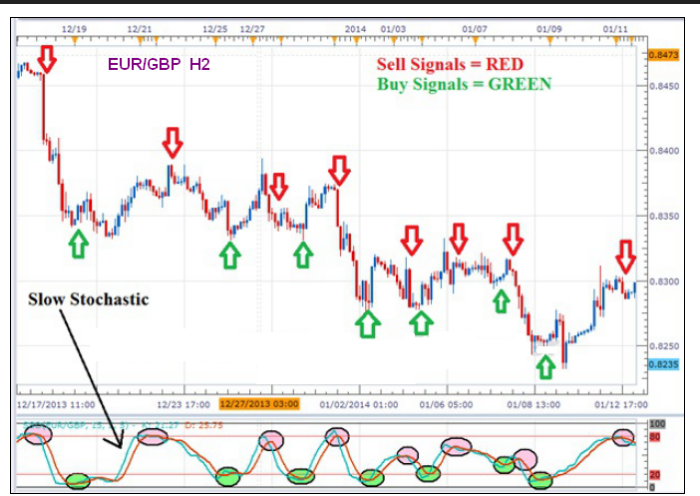 The rules above are made without regard to the Overbougt and Oversold zones of the Stochastics indicator. This is because in the reality of its use, the arrival of prices in these zones does not mean that prices will soon turn back. The most valid signal is still waiting for the crossover. After seeing the big picture that occurs in a large time frame, it is time to learn how to enter through a small TF. Broadly speaking, the way to trade multi time frames with Stochastics during Entry is the same as trading with Stochastics in general. You only need to enter when the% K or% D line moves to the Overbought or Oversold area, or if there is a cross between the two. However, not all of these signals can be considered as a valid Entry opportunity. Read to What is Price Action? The second principle of trading with Multi Time Frame is: movement on small TFs can change the structure and direction of market movements at large time frames. But before going deeper, you need to know that this type of Entry is far more risky than the previous Entry. Why is it more risky? Because the turnover event or trend reversal in the market is not as easy as reversing the Stochastics line from the Overbought to Oversold zone. Prices will sometimes go back and forth before turning around, or the price will rise even higher before actually turning. How to trade Multi Time Frame with Stochastics is only one of the many strategies that can be applied. There are still many other types of indicators which of course will also be more effective if used by trading multiple time frames. However, keep in mind also requires more patience and perseverance in analyzing. The problem that arises is when for example two time frames that are analyzed are only Sideways market, or when there are differences in movement in two time frames, where a large time frame is Sideways, but the small time frame is actually a trend. Apart from being considered more valid in assessing a signal, there are also some traders who consider multi-time frame trading as an ineffective and troublesome way. They think by dividing the focus into several time frames at once, the results will not be better. Just imagine if you are accustomed to trading with facing more than 10 kinds of instruments, and that must be multiplied by the number of time frames of each instrument that must also be observed. Therefore, you should just adjust the trading method you want to do with your choice of instrument. In order to be more wise in choosing a trading instrument, you can understand it further in the Forex Currency Pair article and its correlation. 0 Response to "How to trade Multi Time Frame with Stochastics"